MOSCOW, Russia (Aug 12, 2018) In taekwondo, some fighters are machine guns, unleashing bursts of rapid-fire kicks. Others are snipers, firing aimed, specific shots. 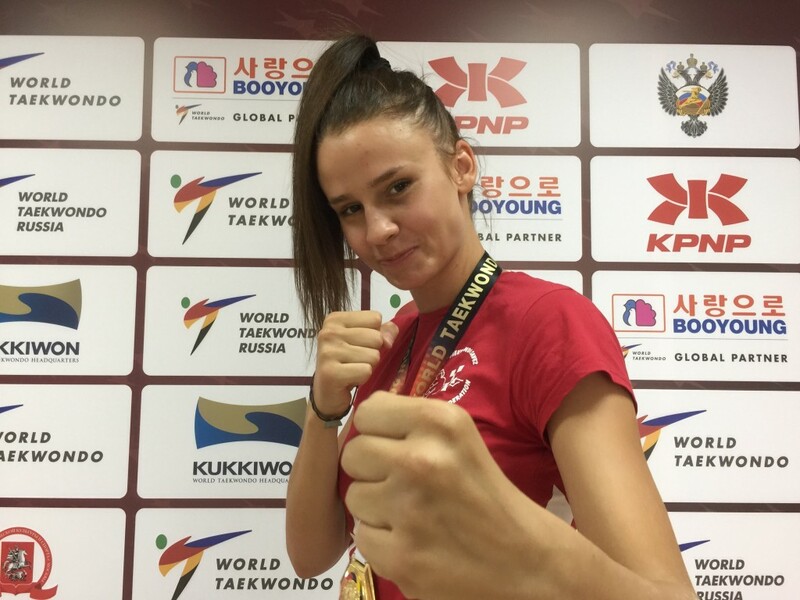 The final of the women’s -67kg category in at the 2018 World Taekwondo Grand Prix in Moscow pitted automatic weapon – Team Great Britain’s Lauren Williams – against precision weapon – Team Croatia’s Matea Jelic. It was bang-crash action from the opening buzzer. Jelic scored first to the body but Williams, perhaps the most aggressive player in the category, equalized almost immediately. A stumble by Jelic put Williams ahead, 3-2, then the Brit lifted her score further, taking the first round, 5-2. In the second, the Croat scored almost immediately – but Williams connected to the head, going up 8-4. In back-and-forth action, the Croat drew ahead and even reversed the forceful Williams – an all-out attack specialist with just one gear, which is fast forward – off the mats. The second ended 13-11 with the Croatian ahead. In the third and final round, a risky high spinning kick saw William visit the mats, then Jelic scored again, taking her points to 17, then 18. Things got physical. Williams counter-attacked, forcing Jelic out, then landed, bringing her points up to 15 and – highly unusually in taekwondo – flooring Jelic with a punch. In the last seconds, William did what she did best: blitzing forward with an all-out assault of punches and spinning kicks. But Jelic’s cool head won out over Williams’ fierce heart. The battle ended 20-17 with a hard-fought victory and gold medal for Jelic. And it had been no easy path to the final. To reach Williams, Jelic had faced one of the most experienced players in the sport – Team Korea’s Olympic gold medalist Hye-ri Oh – in the semis. In that fight, too. Jelic’s target radar had been perfectly calibrated, as she connected with both punches and stealthy face kicks for a 9-3 win against the formidable Oh. 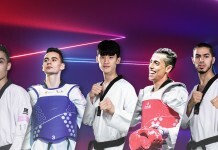 While some fighters and coaches struggle to keep up with the pace of taekwondo’s transformation, Jelic embraces the rule changes. Favorite movie: I don’t watch a lot of movies.